This is the forth article in a five-part series dealing with the new 1004MC form (MCF) by David Braun, MAI, SRA. In Part 1 of this series, David began with a discussion of where appraisers are NOW . . .and gave some direction on where we're headed. In Part 2, David looks at appraiser's frustration with the 1004MC and in Part 3, he gave us a "What Goes Where and Why" look at the 1004MC. I am enthusiastic about appraisers gathering large amounts of data onto a spreadsheet for analysis. The power gained from the appraiser being enlightened through this process is staggering. I am on record for supporting Fannie Mae in the over-all process, and condemning the appraisal profession for not beating Fannie to the punch. I believe strongly that the form (not the process) is far too limited. The Total Solution program that I developed is an example of adding to and expanding a standardized form. Performing a market condition analysis is a lot like sky diving in the sense that you either do it or you do not. I agree that many appraisers are limiting their data and scope of work to such a degree that the results and conclusions are just not reliable. Appraisers are much more like the Wright Brothers at Kitty Hawk, than the modern-day jet pilot . . .but we have to start somewhere. In this part of “The 1004MC-71 INDUSTRY UPDATE” the process of extracting the appropriate market conditions (time) adjustment for the direct comparison grid and determining the value trend’s direction (stable, increasing, declining) will be addressed. This method is appropriate for vacant land, apartments, and various commercial properties. Microsoft Excel is the canvas used in the following adjustment extraction process. What does this mean for you — the appraiser? It means that if you submit through Lighthouse or AppraisalPort, your reports will be converted twice, with twice the chance for errors. Once when it is converted to either the Lighthouse or AIReady format and then again when it is converted to MISMO XML. ClickFORMS has already implemented the MISMO Appraisal XML format, and so has RELS. In fact, they are the only AMC to have do implemented it in the entire country. Because they are so large, this was a major milestone in the industry. Any time you submit a report to RELS using the ClickFORMS RELS Connection, you are using the MISMO XML format. So what the big deal about the MISMO Appraisal XML format? MISMO delivers your report exactly as you created it. Your client gets your PDF, not a conversion or translation of it like in AppraisalPort or Lighthouse. No more extra signatures or missing pages or fields from your report. It's an open standard, so no one company owns it like FNC's AIReady and ACI's Lighthouse. RELS has been using it for more than a year, so it's a proven reliable standard with easy scalability. The rest of the Mortgage Industry has adopted the MISMO standard and become more efficient. The appraisal industry is finally starting to see that porprietary standards are only good for the owners of those standards. For more information about MISMO XML technology with ClickFORMS, check out our website at: http://bradfordsoftware.com/mismoxml/ . The 1004MC-71 Industry Update Part 1; And They're OFF! This is the first in a four-part series dealing with the new 1004MC form (MCF) by David Braun, MAI, SRA. In this series, David begins with a discussion of where appraisers are NOW . . .and gives some direction on where we're headed. In Part 2, David's looks a appraiser frustration with the 1004MC and in Part 3, gives us a "What Goes Where and Why" look at the 1004MC. April first has come and gone; and the mandate to use the 1004MC-71 form (MCF) is firmly in place. Much like in a horse race appraisers are accelerating out of the blocks- with a few still stuck in the gate. The form appears to have been primarily designed by Fannie Mae, with some input from Freddie Mac, and the Appraisal Institute. The intent of this writing is to discuss the progress of appraisers to adapt to the form and to begin a converging of the various opinions of how the analysis should be completed. The players in this scenario are the designers of the MCF, solution providers, appraisers, and reviewers. My personal expertise is as one of the solution providers, but also as an appraiser and fee reviewer. 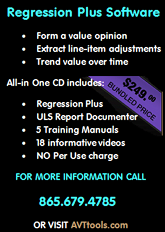 I have 30+ years of appraisal experience, am a certified USPAP instructor, the author of APPRAISING IN THE NEW MILLENNIUM, Due Diligence & Scope of Work, designed and developed the USL Documenter II software, and the Regression Plus; for Real Estate Professionals. I did not help design the MCF, nor have I interviewed those that did. I feel the MCF is too restrictive (perhaps to keep it one page), but otherwise I believe it is a positive progression in the evolution of the appraising industry. Now that most appraisers have access to spreadsheets they can assemble and analyze hundreds of records at one time. This is a stock pile of raw resources that appraisers can no longer afford to ignore. In fact, appraisers like in every other industry in America must exploit every asset at their disposal and evolve their research and development to a higher degree of efficiency. Appraisers should begin to grasp the MCF as a tool to help them and not a hurdle to jump over. In this new millennium...”appraisers must evolve from form-fillers and template masters to problem solvers.” At this time most appraisers are simply trying to fill out the form with little recognition of its potential role in the appraisal process. Over time, this will change and appraisers will recognize that when a good market condition analysis is performed, the appraisal is half way complete. In the mean time industry leaders such as instructors, writers, and reviewers should keep pounding the message that the MCF is a viable tool that can provide significant insight and lead to a credible appraisal. I have found that many appraisers are hung up on how get their MLS search results exported to a spreadsheet and if necessary converting that data to a standard spread sheet format which will allow for organization of the data and analysis. This is not to imply that every appraisal market will require the use of a spreadsheet. Many rural markets with few properties will simply be done by hand. Appraiser’s coming out of the gates are like the early stage of a race for a human sprinter; their heads are mostly down right now, but shortly their heads will look up and they will be searching for points of reference to guide them. These points of reference include books, seminars, automated tools, and the designers of the form. The successful appraiser will have to expend the energies to absorb information from all of these sources. Those that ignore this wealth of information and are content to merely fill in each blank on the form will find that the users of appraisals will intentionally and systematically begin to remove them from their approved appraisal lists. Once appraisers make the effort to learn and evolve they will need automated tools in order to meet the budget constraints that they operate under. Most of the commercial form providers have integrated the MCF into their software packages. But, they have built in little automation. I have been offering automated solutions to appraisers for almost a decade. But, as an appraiser it is difficult to appraise and develop software. I have been delighted to see appraisers besides myself offering commercial report writing software and MCF tools. Many appraisers have developed tools, but most never make it to market. These efforts represent a significant shift in how automated tools reach appraisers. It is my hope that these appraiser/developers will unite and support one another to better provide appraisers with the automated tools they need to do their job. Watch for Part Two! David gives us a "What Goes Where and Why?" look at the new 1004MC Form! Appraisal Today [April 2009] - Editor's note: Before writing this article, Doug Smith researched the available MC form software. He decided that David Braun's software was the best. This review also includes comments on the two appraisal "camps" on market conditions analysis and other topics. The MC form does not require historical listing data analysis, but Smith reviewed this as it is an option. Although announced to the appraisal/lender world in November 2008, appraisers are only now scrambling to take steps to fully understand the new 1004 Market Conditions Addendum and devise a strategy to complete the form. Most agree completion of the Addendum will add to the work of preparing reports. Some lenders, in anticipation of the deadline, have asked that appraisers submit the completed form prior to the April 1, 2009 date. While some lenders have stepped forward assuring appraisers they will be compensated for preparing the new Addendum; others have taken the stance that the Addendum only formalizes data that should already been gathered and analyzed and no increased fee should be expected. That the information on the Market Condition Addendum is segregated into three distinct time periods refutes the contention that appraisers already gather the data required by the form in a similar fashion. Whether an appraiser gathers and analyzes data on an annual basis or month-by-month, the current separation into one six month period and two three month periods requires re-working of any past methods of reporting trends. It is clearly evident that preparation of the new MC Addendum will take more time. For appraisers, the challenge is two-fold. David Braun MAI,SRA from Automated Valuation Technologies, Inc has developed Total Solutions©, a software program to assist appraisers with the process of preparing the 1004MC form. Total Solution© is both an elegant and practical time-savings means to competently fulfill the entire range of requirements of the new 1004MC Form. Priced at $149.00, it is available at http://www.scoopgear.com and is available in two versions, one running on Excel 2007 and another geared for Excel 2003. David's AVT Users Group is located on The Appraiser's Water Cooler social networking site. 1004MC TOTAL SOLUTION© IS coming! As this project is nearing completion, I want to provide an update and some information on this project. Those of you who have purchased and use the USL Documenter II and the Regression Plus for Real estate Professionals programs know that AVT strives for excellence. The success of these products goes beyond good programming to being timely to the appraiser. The foremost consideration in any project that AVT takes on is the resulting effectiveness, but more importantly it efficiency (simple & quick). These are the same parameters governing the 1004MC Total Solution© (Solution) project. Can an appraiser meet the following three goals; better, faster, and cheaper? This is hard to do unless the work is highly automated. After all, automation can reduce errors and do the work faster. Faster means cheaper because cheaper is really the dollar per hour ratio that the appraiser is receiving. Let’s talk about a couple of things that the Solution does to help the appraiser. First, it breaks the analysis into eight equal time periods over two years. Because of automation it takes no longer to trend eight periods than it does to trend the three periods on the 1004MC. See the sample below which depicts a portion of the appraiser’s worksheet. The trend is reported for both, the first and the second year. Second, the computer automatically sets the trend as either “stable, increasing, or declining”, however, the appraiser can over-ride it. The worksheet information is automatically transferred to the official 1004mc form. However, this form would be omitted from a report where the secondary market is not involved and the worksheet would be included in the appraisal report. This program will be quick, but being correct is also necessary. Let’s discuss how some appraisers may inadvertently use “bad” data in the analysis. The “Total Number of Comparable Active Listings” is a good example of how things could go wrong. First, many appraisers may state that the data is not available from their MLS system as they cannot search for past “active listings”. However, the MLS lists the number of days on market and the days on market for each listing. Therefore, a computer program can count the number of listings that were active for the time periods in question. It is my belief that many automated systems will go this far, but will still get the wrong answer. Let’s consider an example. Over a 90 day period there were seven listings. However, two of them were actively listed over the entire 90 days, two were listed for 45 days during the period, and three were listed for 30 days each. On average, there were only four active listings during the period at any one time. Many automated systems will report that there were seven listings during the period, and there were; but this would not be the correct information needed to accurately calculate the “Months of Housing Supply”. The result would be to make the market conditions seem worse than they really are. Most everything changes. If you don’t believe that look in the mirror. Appraisers were very concerned when the new Fannie Mae appraisal forms initially hit the street and now after three years most appraisers utilize them routinely without much consideration. There are times these preprinted forms are not appropriate and should be avoided. Intended User - The Appraisal Foundation and the Association of Appraisal Regulatory Officials (AARO) have indicated that in order to set forth the appraisal in a manner that will not be misleading; the appraiser must provide a clarification with regard to the intended users. This needed clarification is a result of Certification #23 which indicates a host of others that may rely on the appraisal report. Although Fannie Mae indicates you can not add, change, delete or modify their certification or limiting conditions, they don’t mention clarifying. In Fannie Mae’s Revised Appraisal and Property Report Forms – FAQs dated 11/1/05 they indicate that they would accept the following statement when the appraiser believes the client is the only intended user. Intended Use - The preprinted forms also indicate the intended use is for mortgage finance transactions, so without any change to this form, utilizing it for any other reason would create a misleading report. 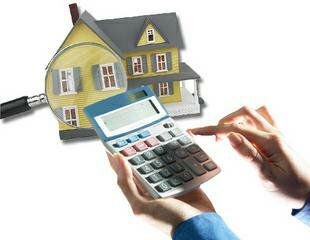 How many of you appraise real property for owners thinking of selling their property, pending divorces, estates, etc? THERE IS NOT A MORTGAGE FINANCE TRANSACTION as you are stating by signing the certification and limiting conditions. Use a different form, a narrative report format, a brown paper bag, just not the Fannie Mae preprinted 1004 form! Most software companies offer a substitute form such as ACI’s General Purpose Appraisal Report commonly known as the GPAR. Keep an open mind for a moment. Think outside the “check” box. If you have been hired by a homeowner thinking of marketing their home, do they really need a picture of their own home? Do they need a floor plan they walk every day, a copy of a map, or a copy of their deed? They probably have the original deed. How about providing them what they need - a credible, ethical, unbiased professional opinion. Think for a minute about when you go to the doctor with an aliment. What happens? Perhaps there is a discussion of the problem, an examination, maybe an ex-ray? Then it’s off to the lab for some blood work. Then you go home and wait by the telephone. When the doctor calls with the results do you say, “Wait! I want a 43 page written report!” Of course not, you accept their professional diagnosis or opinion via the phone. Remember the appraisal and the appraisal reports are two different things. The Appraisal Development is covered under Standard 1 while the Appraisal Report is under Standard 2. There are four report options consisting of three written and one oral. Whether you prepared a Self-Contained, Summary or Restricted Use they can be narrative or form reports. A Restricted Use report option is most often overlooked by appraisers but very often is the perfect option for many clients. Consider providing options for different clients who have different problems that need to be solved instead of forcing a URAR down their throat. Regardless of which option you choose, beware of using the Fannie Mae preprinted forms as a catch all. They were not intended for that reason. AUTHOR: Bryan S. Reynolds is a Certified General Real Property Appraiser and an AQB Certified USPAP Instructor. Mr. Reynolds serves as an adjunct faculty member of The Columbia Institute, and is an approved appraisal instructor in 30 states. Reynolds is the owner of Reynolds Appraisal Service in Owensboro, KY, providing various residential and commercial valuation services, consulting and litigation support services throughout the area. He can be contacted at (270) 929-3088 or by email at bryan@reynoldsappraisalservice.com . About the author: Gretchen Gary is a real estate professional who specializes in the Cost Approach. From 2003 to 2006, she published articles warning about the pending housing market crash, and promoted the Cost Approach as a quality control for property valuations. Years of unrestrained lending practice have delivered the most tumultuous housing market since the Great Depression. And speaking from the perspective of the appraisal industry, it doesn’t come as much of a surprise. These days, it’s no secret that appraisers were pressured to hit the target price of a sales contract as common practice throughout the housing boom. The market was hot, and demand relentless. Market-based appraisals were turning out hyper-inflated values with outrageous appreciation, and most everyone knew it. A housing bubble was bulging unchecked and real estate prices were through the roof. Now in the wake of a massive housing crisis, industry heavyweights and government officials are stepping in to bring some regulation to the industry. Unfortunately however, only appraisers really know what is needed to ensure honest valuations. The proposed guidelines of Freddie Mac’s Home Valuation Code of Conduct miss the mark. While the prevalence of inflated home values originated from unbridled lending, only responsible appraisal practice can bring this crisis to head. The industry already has its own valuation quality control method in the Cost Approach. Now is the time for appraisers to define their own professional code of conduct by re-evaluating the common valuation process. The Cost Approach Today The demands and disappointments of today’s housing industry have created a renewed interest in the Cost Approach. Typically recommended for unique properties, new or proposed construction, and properties with specialized improvements, the Cost Approach appraises a property based on the value of the land plus the estimated replacement cost new of the building less depreciation. Its practical approach to value also provides a trustworthy benchmark that can be used to validate market-based appraisals. With a cost-based perspective on the market, the appraiser gains insight on value sustainability and a more comprehensive picture of the property valuation. Historically, the Cost Approach has always served a quality control function, used to help identify a potentially runaway or rapidly declining market. Throughout the housing boom, Cost Approach valuations were signaling inflated market-based values beyond sustainable levels. The subsequent bust came as little surprise to proponents of the Cost Approach. As the industry reels from the effects of questionable lending, the Cost Approach presents a way to prevent another bubble scenario in the future. ACI has recently acquired the assets of United Systems®, Day One®, and Appraisal.com. ACI has recently acquired the assets of United Systems®, Day One®, and Appraisal.com. We are pleased to announce that we are re-opening operations and charting a new course for existing customers. Many appraisers have complained about the use of standard forms such as the URAR, especially with regard to complex residential appraisals. The existing categories are often too simplistic and the grid is of a fixed size and format. For example, there are not enough blank rows in the associated sales grid to insert property factors that are important in valuation. Complaints about the use of forms are most common on the AI forum, where several SRAs and MAIs have, over the years, stated that they only do narrative reports for that reason. The problem is that the design of appraisal forms is still based on outmoded paper forms. The restriction is nowadays artificial and meaningless. Computer software has shown time and again that it can easily handle processing of flexible forms that allow users to insert arbitrary numbers of rows and even columns. For example, this is a common feature in order processing software– where parts and components can be added to order forms in some fairly complex ways. Peoplesoft, where I worked for a number of years, became successful largely through Microsoft Windows based software that allowed users to modify and design forms back in the early 90’s. Well over 95% of appraisal forms are handled by Microsoft Windows based computer software provided by vendors such as Bradford Technologies, Alamode and ACI. Because of this, there is really no inherent limitation as to how forms can be designed and modified by end users, other than what is imposed by regulations and guidelines. What is possible with regard to appraisal forms? For the sake of simplicity, I will restrict this article to a brief discussion of Sales Comparison Grids – noting that the same considerations apply to Cost and Income related grids. While spreadsheet software such as Excel allows nearly any kind of grid to be created, a robust grid with built-in intelligence has to be written by software developers. The common tools for such software development in our field are based on Microsoft .NET and third party components such as ComponentOne, Infragistics or DevExpress. To see what is generally possible, just visit the websites for these companies and view their demos. You will see that grids can be created that allow pictures, graphs and text to be embedded in cells, such that a click brings up the associated attachment in an editor. Pictures can be shown in the grid as thumbnails or easily hidden from view by clicking the associated row, where the usual “+” indicates whether details under the row exist to be expanded and a “-“ indicates that a given row is already fully expanded and can be compressed by a single click. It is possible to copy pictures and text for sales comparable from the MLS and paste them into the grid. Even virtual tours could be copied and pasted to the sales grid. Marshall & Swift (M&S), a MacDonald, Dettwiler and Associates, Ltd. (MDA) business, and the leading worldwide provider of residential and commercial building cost data to the real estate appraisal market, announces new support for the appraisal process through its appraiser certification program. As the appraisal industry experiences increased regulatory oversight and a demand for evidence that appraisers use best practices, M&S, (a co-founder of one of the professional appraisal organizations that in 1987 helped to establish the Appraisal Foundation) has joined the fight to demonstrate the quality of valuations performed by appraisers. M&S demonstrates this by giving appraisers proof of licensed access to its industry-standard replacement cost data for their property valuations. The new M&S Licensed User Certificate is available to M&S licensed customers at https://certification.marshallswift.com, and is for attachment to any appraisal report. The certificate is written confirmation that the appraiser maintains current building cost information in accordance with appraisal best practices, and supports the residential appraisal form requirement that the appraiser list a source of current data when calculating a cost approach valuation. Marshall & Swift also provides an online registry of certificate holders should lenders wish to confirm appraisers’ access to current building cost information as part of their underwriting process. M&S President Peter M. Wells notes, “Marshall & Swift cost data remains one of the most important and defendable sources of property valuations in the lending process required by the mortgage and appraisal industries today.” Wells states that he believes there will be a resurgence in the use of the cost approach in the lending process because the current debacle in the mortgage industry was fueled by uncertainty in valuations and the market approach alone was unable to find the low point for valuations. Overlooked since 1996, the cost approach has always helped define objectively the total amount of money that can justifiably be lent against a property. It also serves as a baseline to compare market trends with the cost trends of real property.